Tarot 450 PRO V2 TL20006 Flybarless has Silver and Black(rotor head and tail) version available,both of them looks pretty, we will ship at random if there is no special requirements. 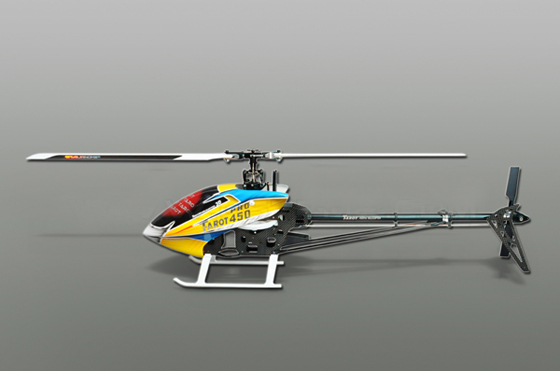 Newly improved low wind resistance specialized flybarless rotor head assembly, with reduced distance between rotor head and frame, effectively lowering the CG for better 3D performance. Improved side frame design, with dedicated ZYX mounting location. 3GX can be placed in between frames, or behind anti-rotation guide, resulting in clean wire management and improved aesthetics. Unibody main shaft and servo mount, simplifying servo replacement and improving ease of maintenance. Longer battery mounting plate with integrated ESC mount. Not only is the battery mount more rigid, the battery can be shifted based on its dimension for better CG. High efficiency tail shaft drive design, dramatically reduce power loss associated with belt driven system, and at the same time increase power output. Vertical rudder servo mount design moving the CG closer to center, improving agility during 3D maneuvers. Unique opposing weighted tail blade grips effectively increase rudder and gyro performance, for superior tail locking and higher precision. New aerodynamic canopy with paint scheme resembling the T-Rex 600E Pro, perfectly matched to the helicopter frame to create aesthetic perfection. Focus Shot2 (Grommet is made of nylon with MoS2.It Features wear-resisting and smooth for quick movement of swashplate. It improve control precision and lifetime. Note: All Tarot helicopters are Disassembled, but it comes with detailed installation instructions. Helicopters can only be shipped by express. 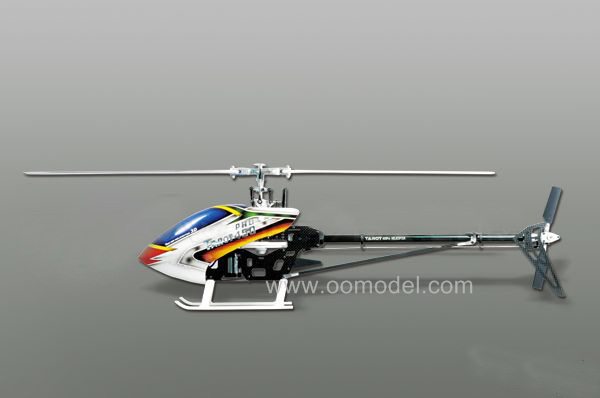 We have many other tarot helicopters for your choice, this helicopter also comes in different combos.